Decades of experience has taught us that there are four requirements to successful diving: proper knowledge, proper skills, proper equipment, and experience. There are certain safety rules that must be learned. With a professional teaching system (a manual, video, and study guide), you can study this information on your own. An Instructor will be available for assistance. 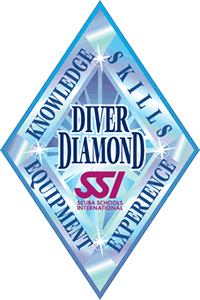 You must develop ability with basic scuba skills, such as moving in the water and equipment handling. The best way to learn is from a qualified Instructor at a professional scuba school. Review and practice time reinforces the skills. The most comfortable, convenient and enjoyable way to dive is with your own set of properly-fitted equipment. As you become familiar with your equipment, your ability level increases. Servicing your equipment annually improves your equipment’s performance, and minimizes malfunctions, which provides peace mind. Phoenix SCUBA and Watersports Inc.
Phoenix Scuba & Water Sports Phoenix Scuba & Water Sports shared a link. U.S. Army Veteran Master Sergeant (Ret.) Cedric King lost both legs in 2012 and ran the Boston Marathon less than two years later.